Meet Chunky Panday's niece, Alanna Panday. Alanna is Chunky's brother, Atul and Deanne Panday's daughter. Her brother Ahaan has already started preparing himself for Bollywood. 20-year-old Alanna has all the qualities to be a Bollywood star. Alanna is very popular on social media. She's doing a fashion course in London. 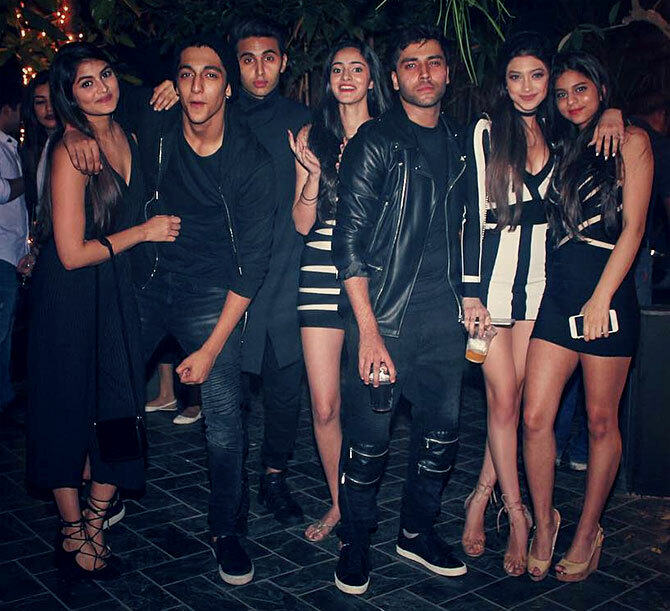 Alanna's friends includes Shah Rukh Khan's children, Aryan and Suhana (seen in the picture, first from right) and Pooja Bedi's daughter, Aalia. Her brother Ahaan is seen second from left. Yes, she probably loves her brands. Alanna clearly takes her mom Deanne's fitness tips seriously. Photographs: Kind courtesy, Alanna Panday/Instagram.